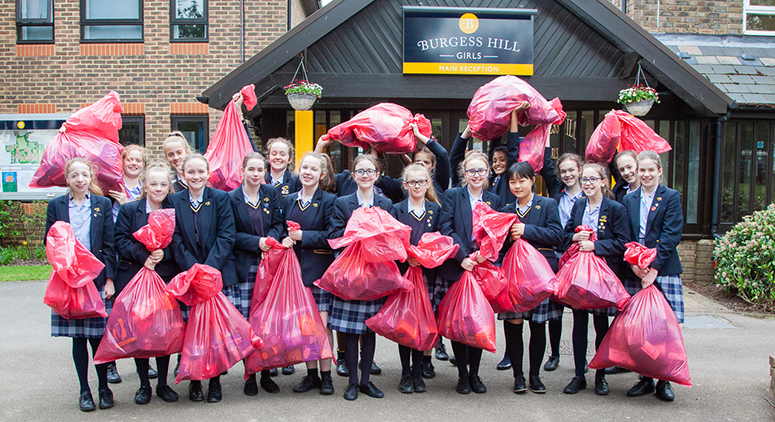 Burgess Hill Girls and Burgess Hill Town Council have forged excellent links over the years to ensure that the students have the opportunity to give something back to their local community. Amongst the busy school term there is always time to plan and perform wonderful concerts for local people held at the school, at St Johns Church, St Andrews Church and other local venues. The importance of the community to the school is immeasurable and we continue to find new initiatives to support the local people. Possibly the most rewarding event is the annual Carers’ Day provided for anyone in Burgess Hill and the surrounding area who is registered as a carer. Those who are able to attend are provided with wonderful pamper treatments, haircuts, advice from local agencies a wonderful raffle and refreshments. The guests are looked after by Year 9 girls who enjoy giving their undivided attention to their guests. Many of the girls volunteer at local charity shops and are open to supporting any event that will make a difference to the community. Mention the word volunteer and our girls are with you! 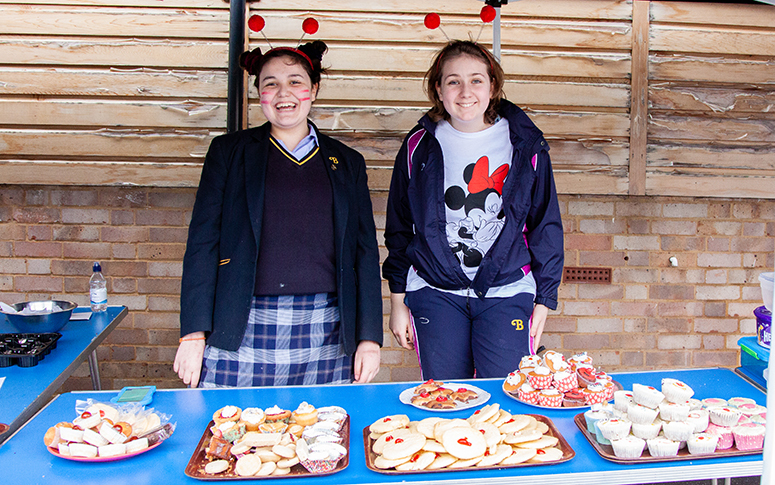 Burgess Hill Girls prides itself on its commitment to local, regional and national charities. From a very young age the girls are made aware of the difference they can make to those who are less fortunate and groups that require financial or other kinds of support to provide a better life for themselves. In Senior School the Charity Committee is run by two of the school officers who work with the tutor groups to agree on the charities for the year and the activities that each group will take part in. Much discussion takes place over the range of charities and the number of individual charities that are supported as an extra throughout the year due to a sudden disaster is to be applauded.